Current employer. I am employed in the department of Astronomy and Astrophysics as a Research Associate. 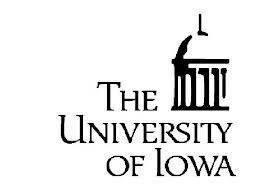 The collaboration with the University of Iowa is with Professor Randall McEntaffer's group. The aim of the collaboration is to develop a high resolution soft X-ray spectrometer, initially with sounding rockets for technology development and moving onto explorer mission proposals. The 'e2v centre for electronic imaging' (CEI) is a research centre within the Department of Physcial Sciences at the Open University. It is a collaboration between the Open University and e2v technologies plc., who provide sponsorship contributing towards PhD studentships and research positions. This is my current research group. e2v technologies create innovative solutions for high performance systems; designing, developing and manufacturing inspirational solutions for the most exacting requirements of global systems companies. The collaboration between the CEI and e2v technologies creates a pathway for the transfer of knowledge and technology between industry and academia. My collaboration at Osaka University is with Hiroshi Tsunemi who works in the Graduate school of Science, Earth and Space Science. We have previously worked together on the characterisation of Hamamatsu CCDs for the proposed WHIMEx mission. Our current collaboration on the Soft X-ray Imager (SXI) on the Japanese mission ASTRO-H (due for launch in 2015). The Max Plank Institute for Extraterrestrial Physics Panter X-ray Test Facility is a 130 m long X-ray test fcility located in Neuried on the southwest outskirts of Munich. Panter was originally built to support the ROSAT telescope development. The main chamber is 12 m long and 3.5 m in diameter. I have taken part in many test campaigns at Panter and am in the process of commissioning an X-ray camera system to be used in the main chamber. The Physikalisch-Technische Bundesanstalt (PTB) is the national metrology institute providing scientific and technical services. My collaboration with PTB allows me to test CCD performance over a precise range of X-ray energies. Due to my extensive use of this facility I have become a visiting researcher. The Diamond Light Source is the UK's national synchrotron science facility located in Oxfordshire, United Kingdom. Its purpose is to produce intense beams of light whose special characteristics are useful in many areas of scientific research. The collaboration is part of my current work looking into the development of a high speed, low noise camera system for high energy X-ray detection for medical applications. The JSPS is a society that encourages collaboration between scientist in the UK and Japan. I have been awarded a summer fellowship with the JSPS to continue my collaboration with Hiroshi Tsunemi Osaka University. The fellowship has allowed me to become an alumni of the society enabling me to strengthen my links with Japan.